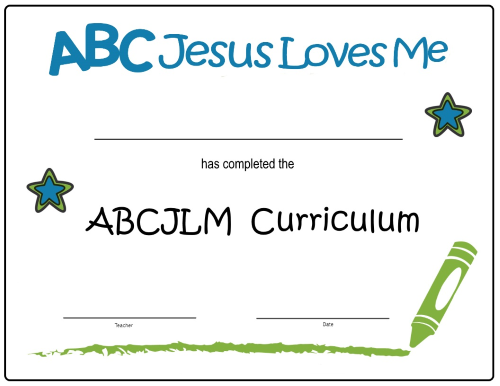 Celebrate the completion of an ABC Jesus Loves Me Curriculum with a graduation certificate. Be sure to tag #ABCJLM or @ABCJesusLovesMe when you share the image on social media! Don't wait to start the next curriculum. Print your First Day of School poster too!